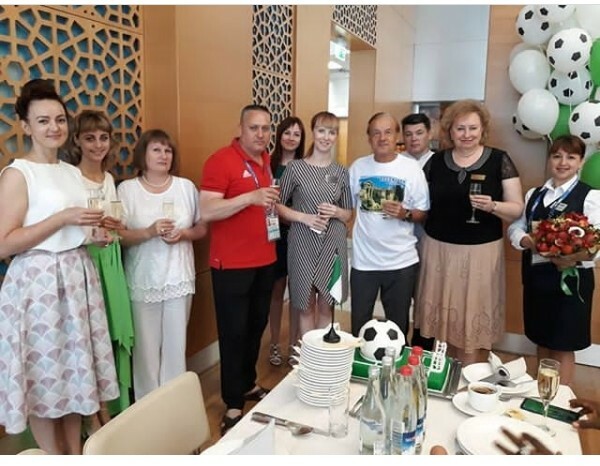 Super Eagles Manager Gernoth Rohr celebrates his 65th birthday in style with family and friends. Rohr birthday cake is designed as a football field with a Nigerian flag on it. the man who led the Nigerian National Team to the ongoing FIFA World Cup in Russia, has been given a whole lots of accolades despite the fact that the team didn't qualify to the next round but played excellently well against the Argentines.